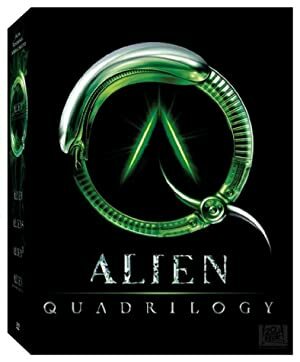 The 1986 Aliens movie is a cult classic in military science-fiction and survival horror movies, and the follow-up the landmark 1979 Alien sci-fi horror movie. 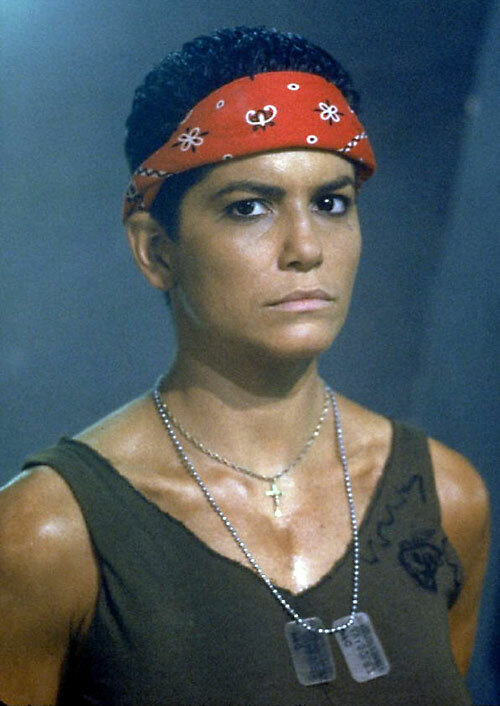 Private Vasquez (played by Jenette Goldstein, who now runs a large-cups bra business ) was one of the more memorable characters of the movie. 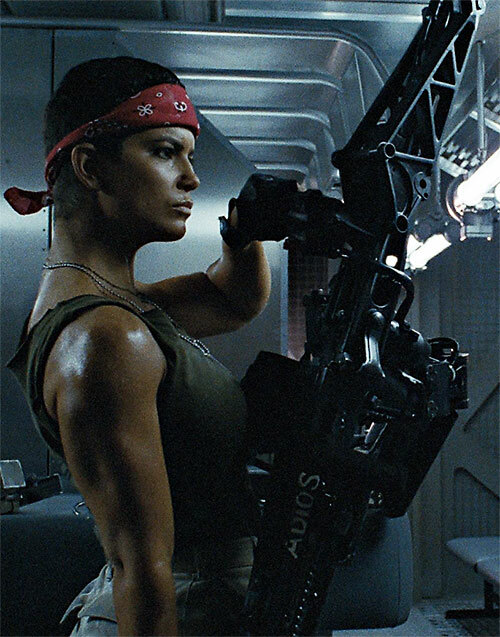 Though characterisation wasn’t the point of the film, Vasquez has a ferocious attitude, strong presence, snappy lines and a really really cool gun. Real Name: First name unrevealed. Group Affiliation: Colonial Marine Corps. Like her counterpart Drake, Vasquez is a quick and vicious soldier. She is younger than the rest and her combat-primer was the street in some Los Angeles barrio. She is tough even by the standards of this group. Hard-muscled. Eyes cunning and mean. Thrown into the Marines from juvenile prison, she has now become a well experienced combat machine. Colonial Marines are national, governmental troops. In an universe dominated by huge corporations and the private sector, that means lousy peacekeeping jobs, bug hunts and other unsavoury details. Overextended, corrupted and under-equipped, the Colonial Marines have it tough. But then, that is part of what make them, in J. Burke’s words, tough hombres. 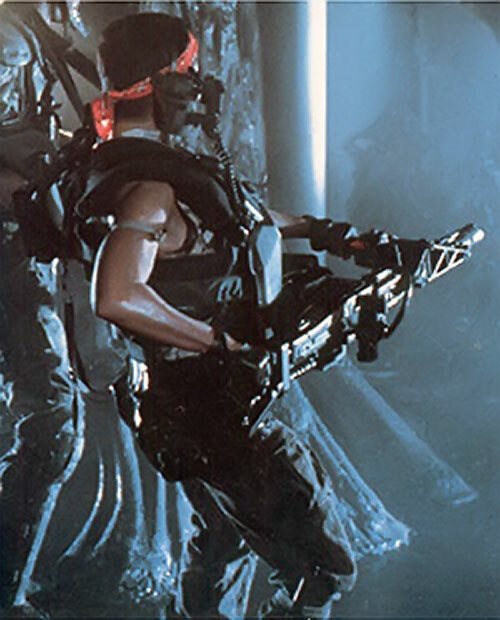 Vasquez come from a tough LA neighbourhood, and was drafted from juve prison to be trained as an operator of the formidable smart-gun. 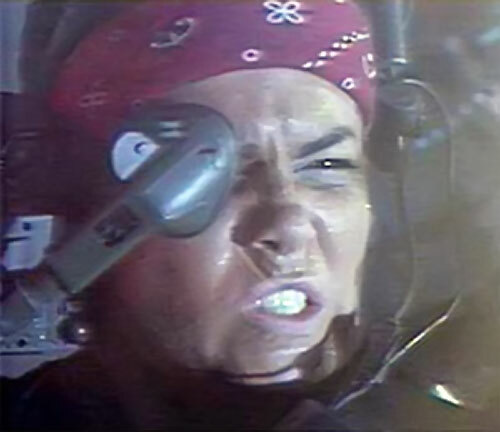 She was part of the group that escorted Ellen Ripley to investigate the Acheron colony. Her chest plate bears the inscription El Riesgo Siempre Vive (“Who dares, wins”, more or less), and her smart gun has Adios painted on the receiver. The observant will see Loco written on the back of her shirt. Vasquez enjoys being a Marine. She loves the heat of the battle in a somewhat psychotic, sexual kind of way. Drake and Vasquez share a unique bond between them, exchanging a power grip after a rough yet playful conversation. See my Elseworld Legion for a variant DC Universe that includes Colonial Marines in the 30th Century. Alternatively, Vasquez would fit in well as a squad machinegunner in any modern paramilitary force. Familiarity (Military equipment and protocols), Lightning Reflexes. Minor Rage, MIA toward Drake. 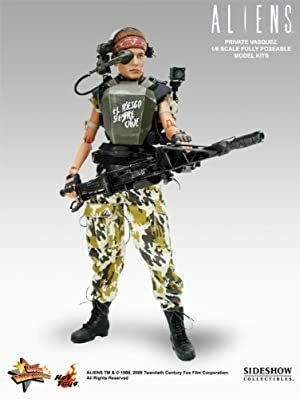 M3 PERSONAL ARMOR [BODY 06, Flash (Illumination Only): 03, Skin Armor: 02, Limitations: Skin Armor can be avoided with a +2CS Trick Shot ; Vasquez’s armor includes the power harness for her M56 – while she wears it she suffers from a Misc. MPR – the harness is heavy and bulky and prevents her from performing some maneuvers, such as rolls]. Combat Knife [BODY 05, Enhance (EV): 01 (Cap is 06), Descriptor: Piercing, Slashing]. M4A3 Pistol [BODY 05, Projectile weapons: 04, Ammo: 12, R#2]. Grenades (x2) [BODY 02, Bomb: 07, R#03, Grenade drawback]. 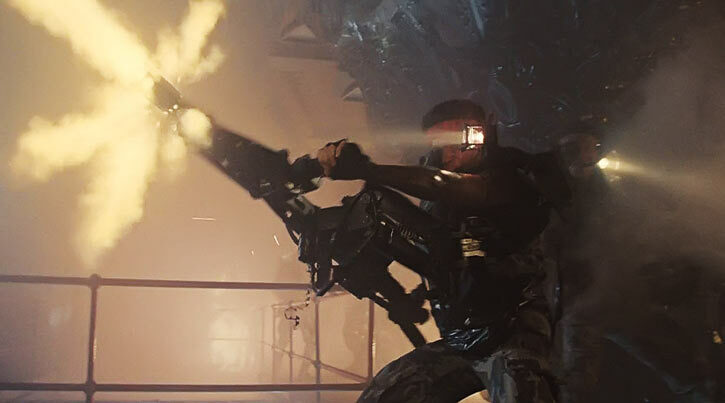 As a machinegun operator, Vasquez handles a M56 Smartgun [BODY 06, AV 07, Projectile weapons: 08, Telescopic vision: 03, Thermal vision: 09, R#03, Advantage: Autofire]. Source of Character: Aliens movie. Helper(s): Roy Cowan, Pufnstuff, a defunct University of Nebraska-Lincoln student page (http://cse.unl.edu/~jraises/aliens/a2vas.htm).